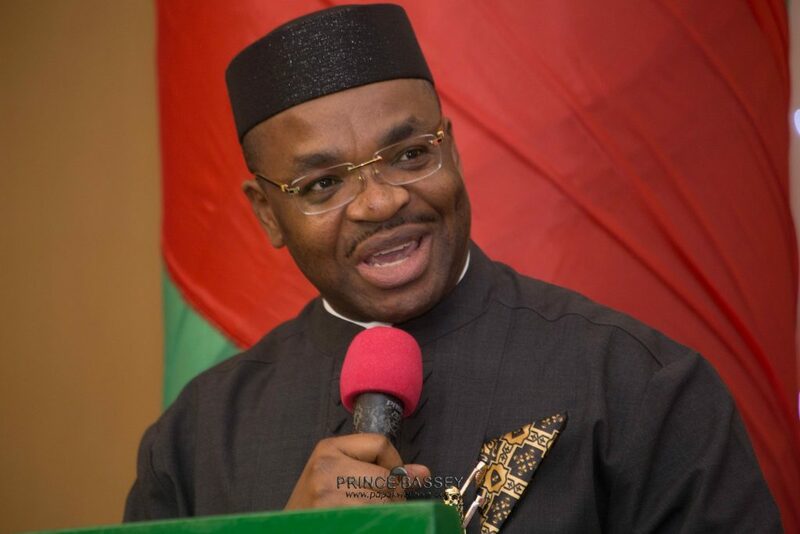 Akwa Ibom State Governor, Udom Emmanuel, has said only God can stop him from being re-elected in 2019. The governor, who spoke at a town hall meeting with Akwa Ibom State indigenes in Abuja and the 19 northern states, used the occasion to showcase his achievements since he came on board over three years ago. He said he needed to reiterate that power belongs to God, following insinuations by some people that the state would witness war during the 2019 elections. He said his visit to indigenes of the state in the 19 northern states was the first time a sitting governor would hold such an interactive session with the people in Abuja. “I am showing my love through selfless service to the people,” he said. He said he has already told God to use him to develop the state in all ramifications and added there is no place people would go in the state without seeing signs of development by his government. The governor said the state is in the last lap of the development of a Deep Sea Port that would help jump start economic activities in the state. He noted that with the airport of international standard and a deep sea port, the state would be ready to fly. He added that the state would commission one of the best plywood processing plants in the country in December. Udom promised that given a second term, more than 80 percent of the food consumed by the people would be produced in the state. He also listed hospitals, schools, road infrastructure industrialization of the state as part of his achievements. A Peoples Democratic Party (PDP) leader in the state, Nduese Essien, said the governor is fully on the ground after some initial setbacks.